The Game of Thrones Season 8 teaser trailer and release date are here. 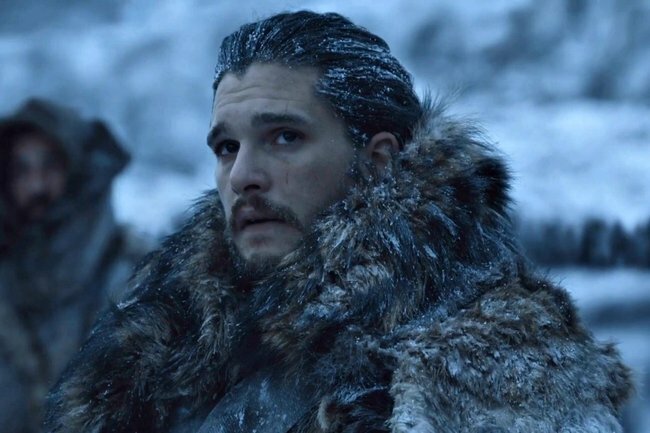 The Game of Thrones Season 8 teaser trailer is finally here and everyone is freaking out. Attention, Game of Thrones fans. We have very important news. After months of waiting, we finally have an exact release date for season eight of Game of Thrones. According to HBO, the final ever season of the drama will premiere on Australian screens on Monday, April 15th. And in even more exciting news, we’ve also been given a closer look at the final season of the award-winning fantasy series in a new teaser trailer. Check out the teaser trailer for Game of Thrones’ final season below. The new teaser trailer, titled Crypts of Winterfell, sees Jon Snow, Sansa Stark and Arya Stark reunited in, you guessed it, the crypts at Winterfell. Although the teaser doesn’t give much away, one things for sure – the fate of Winterfell and the Stark family is terrifyingly uncertain. According to sources on the set of the television series, the season finale of Game of Thrones will feature an epic battle like nothing we’ve ever seen in the show before. It is apparently the longest amount of time it has ever taken a TV crew to shoot a scene of that kind. The eighth and final season of Game of Thrones is set to include just six episodes, but in good news, they will be movie-sized in length. With just three months to go until the final season premieres, you can catch up with the first seven seasons of the show on Foxtel Demand and through Foxtel Now.